Aquamaster Drain, Plumbing & Waterproofing Inc. provides professional drain inspection services for new homeowners in Toronto and Mississauga. We will provide you with detailed checkup and tell you where the problems are. We can also record your drain inspection checkup on DVD and provide you with an accurate estimate of the repair cost. Just feel free to contact us and receive more detailed information about drain inspection for new homeowners in Toronto and Mississauga. Aquamaster Drain Plumbing and Waterproofing, Inc. is a company that cares about reliable service and accessibility. We not only offer the full range of plumbing, waterproofing and drainage solutions, we also service almost every city and town in the Greater Toronto Area and most of South Ontario. 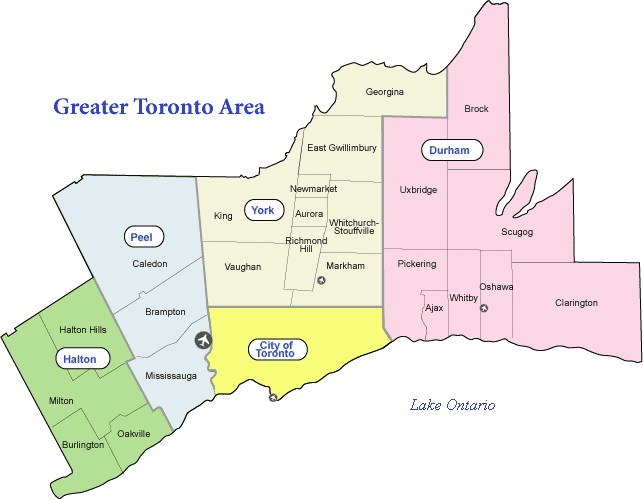 The towns we serve include: Mississauga, Milton, Etobicoke, Brampton, Burlington, Richmond Hill, Markham, Oshawa and Aurora. We have customers all over the South Ontario area and we travel everywhere from London, Ontario and downtown Toronto to Oshawa and Newmarket…and all points in between. Our professionals take renovation, waterproofing and plumbing jobs very seriously. Working with the right company can make all the difference between ensuring a job is done right the first time, or having to incur further expense and renovations down the road. We offer free consultations and can give you our expert advice on how your particular job should be handled. We offer the most thorough, cost effective solutions to keep your home and property watertight. Call us today at (416) 939-6379 and join the thousands of our loyal customers in the GTA who rely on us for expert, reliable service and piece of mind. Protecting Toronto basements from water damage, and ensuring that foundations are free from defects is something we’ve been successfully handling for many years. We service customers all over the GTA who have called on us to provide permanent solutions to their leaky basements, cracked foundations and other leakage and moisture problems in their homes. Our experienced professionals have worked with all kinds of repair and waterproofing materials, so we are well suited to offer you the best waterproofing solution with the latest technology and materials. It’s a fact: A leaky basement or cracked foundation will only get worse. Addressing the problem before it spreads saves time and money down the road. Once we’ve evaluated your basement for leaks and checked your foundation for cracks, we offer you a thorough, permanent and cost effective solution. 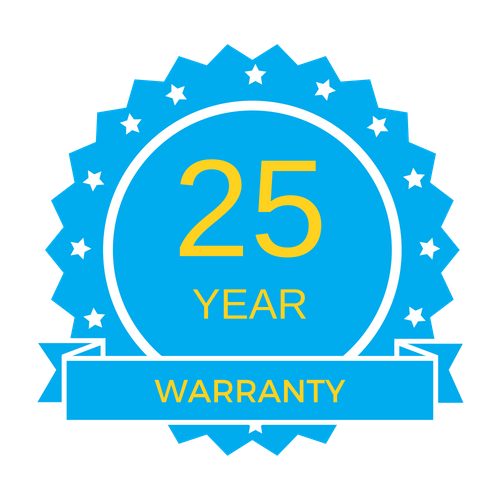 We are so confident in our process, that once we’ve waterproofed your basement – we offer a 25-year warranty that is transferable to future owners if you decide to sell your home. A plumbing problem is not something to take lightly. An old or damaged pipe can quickly deteriorate and burst if not addressed. It is not uncommon for something that starts as a minor plumbing problem to cause extensive damage. 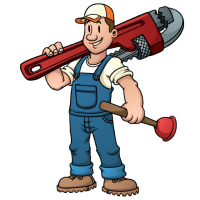 It’s important to hire plumbers who can diagnose and get to the root of a plumbing issue right away. Together, our licensed plumbers have decades of experience helping homeowners with plumbing problems in Toronto. Our legion of satisfied customers can attest to the fact that when we arrive on the scene, we make sure the initial plumbing issue is located and fixed. We have state of the art equipment that allows us to find even the hardest to locate leak. Commercial drain cleaners that you buy in the store can destroy your drainage and pipe system. If a pipe degrades enough, it will begin to leak. We use state of the art diagnostic equipment to perform sewer inspections and property drainage inspections in case modifications need to be made to your plumbing system. We also inspect the rest of the pipes in a home, and on your property, to make sure there are no other problems waiting to happen. Additionally, we’ll replace anything that looks suspicious. We take our customers safety and comfort very seriously. Whether it’s a leaky basement, a cracked foundation, a burst pipe or clogged drains. Aquamaster staff is ready to assist you and get the problem fixed quickly and efficiently. With Aquamaster plumbers and waterproofing experts, your home will stay dry. So call us today for immediate assistance.